1. Luxury Accommodations: One of the biggest reasons that P&O Cruises is consistently ranked as one of the top cruise lines is because of the luxury cabins and suites on offer for passengers. The air conditioned rooms are private, inviting and outfitted with truly luxurious furniture and bedding. Choose from a range of sizes to meet your needs as well as your budget. 2. British Atmosphere: Many cruise liners cater primarily to an American audience. P&O Cruises targets the discerning British traveller who wants to enjoy all the comforts of home while exploring exotic destinations. This might be as simple as a perfectly brewed mid-morning cup of a tea or a full English breakfast fry-up at the buffet restaurants on board. 3. 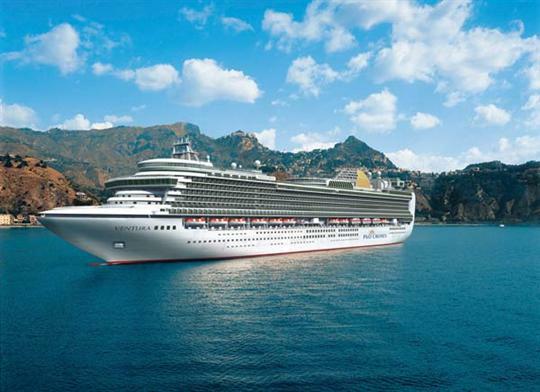 Extensive List of Destinations: P&O Cruises offers hundreds of unique destinations for travellers to choose from. Many passengers opt to tour the ancient cities along the Mediterranean Sea like Venice, Athens and Istanbul for a dose of culture and heritage. Others prefer to head off to exotic locations like Hong Kong, Dubai or Rio de Janeiro to experience new languages, cultures and continents. Also increasingly popular are Caribbean cruises that sail from island nation to island nation throughout the area and offer beautiful beaches, tropical climates and stunning scenery along the way. 4. Incredible Nightly Entertainment: The fun on board a P&O Cruise won’t stop just because the sun goes down. Each night there are dozens of different ways that passengers can choose to spend their time. Each ship has themed nightclubs, superb dining options, film premieres, gambling in the on board casinos, live music, quiz nights, theatre and musical performances and more. More casual evenings can be spent at the on board bars and lounges sipping intimate drinks with your partner or enjoying a live sports match with new friends. 5. Family-Friendly Ships: The cruise ships operated by P&O Cruises are specifically designed with the entire family in mind. Parents will love the special tea created for children each night before the main service when young children can dine on fish fingers, salads, pizzas and sandwiches so that parents can enjoy formal dinners alone. The Reef is a special program for children ages two through seventeen that includes age appropriate activities to entertain and educate those on board. That does sound pretty great but what is the price tag on a average cruise. I have found that cruises are usually not as expensive as I had always thought they were. Some people say that the best part of their cruise vacation is the ship itself and not the destination at all. If you book the right cruise for you, you’ll be able enjoy all the fun and relaxation that you can get on your cruise ship. @Tina, I think the same, because you spend most of the time on ship except some short daily trip, so it is important to choose right cruise ship for you. @Steven, the prices getting more affordable and besides there are two/three nights or even one night cruises if somebody just want to try how it feels to be on such big ship. Mauritius has long been a destination for those seeking winter sun, paradise-white beaches, pampering and luxury accommodation. Tropical beaches with powder-white sand, cobalt blue seas as clear as crystal, and scores of luxury hotels make Mauritius the ideal romantic honeymoon location. Mauritius lies just east from Madagascar off the coast of Africa, with a tropical climate and year-round heat, attracting tourists looking to top-up their tan and have the ultimate luxury holiday. If you can pull yourself away from the heavenly beaches for just a second, there are also lots of activities, natural beauty spots, mountains, hiking trails and historic sites to keep you busy. If you’re choosing your next luxury holiday and all of the ‘tropical island’ destinations seem to be a bit the same, then here are 5 reasons why you should pick Mauritius. Cruising really is a fun and exciting experience. What could make it better is you visiting Exmouth 🙂 Just try the watersports and see for yourself. You may want to try to check out the Villas in Bali. It sure is very wonderful.